Beautiful family moments… taking care of your other half… doing what you enjoy the most… once-in-a-lifetime memories with your friends… What is love? All this, and so much more! Lacta and The Mall of Cyprus invite you to discover The Taste of Love, on 10 and 11 February, at Entrance 2 of the shopping center. With music by Mix FM, two huge heart-shaped signs to put up our Valentine’s Day wishes, and, as every year, a competition! To enter the draw simply view the six photographs displayed at the event, and vote the one that best expresses the taste of love for you. Our grand winner, who will be announced on Valentine’s Day, will get one trip for 2 to magical Paris. 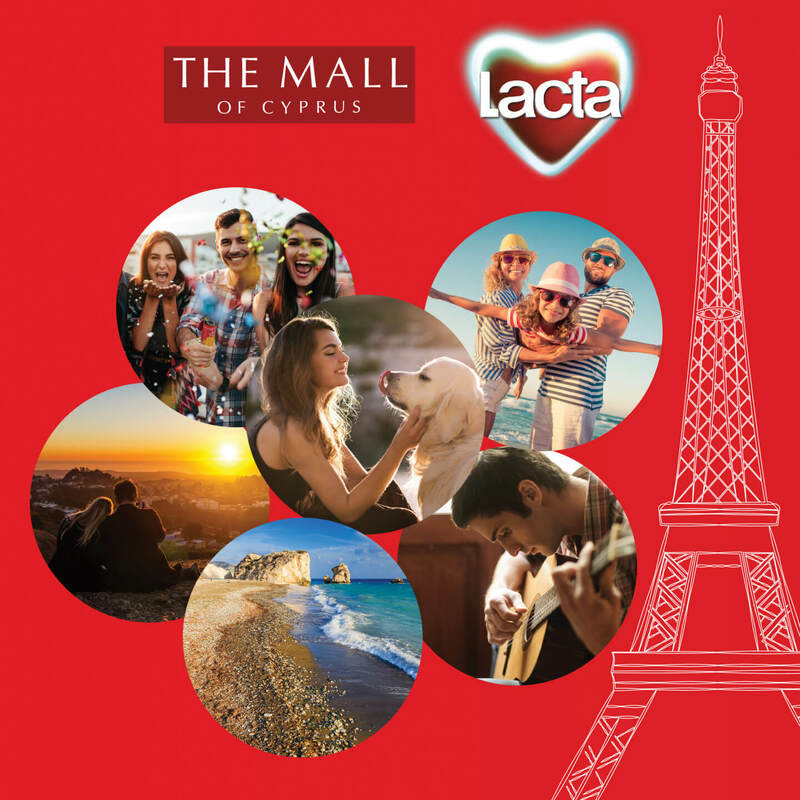 Lacta and The Mall of Cyprus have once again prepared an unforgettable Valentine’s event! We look forward to seeing you on Saturday and Sunday 10 and 11 February, between 3pm and 8pm, at The Mall of Cyprus!